I have provided Personalized Guest Books designed for my clients for a long time, but I am so very happy to announce my very brand new Guest Book I will be carrying starting in December this year. The difference, they have hinged pages that lay flat instead of magazine style pages. They will be a couture and stylish size of 8×8 and they have some awesome and fun cover options. Here is a book I just ordered for a Bride. 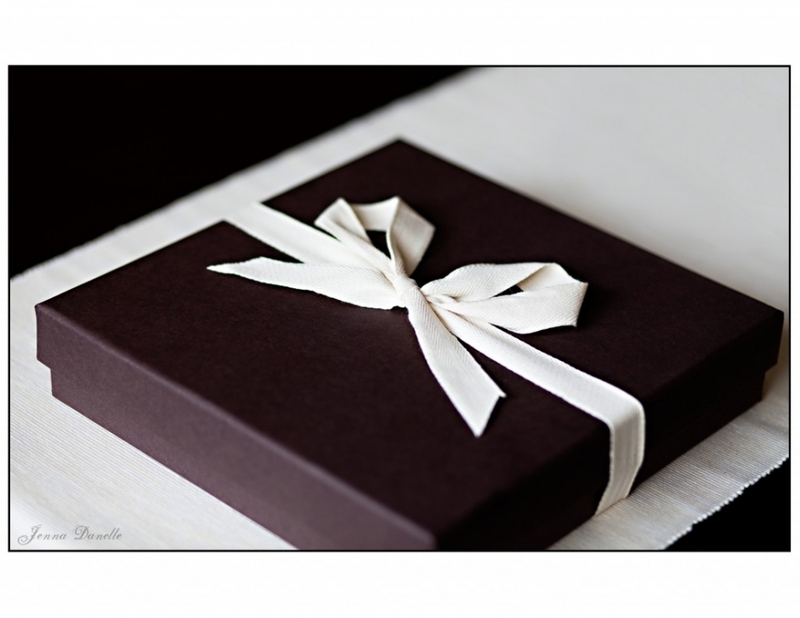 It features a Chocolate Brown Cover to match her wedding colors. 😀 All Guest Books come with 20 pages, and three sharpies, usually one black and two in a color of your choice. 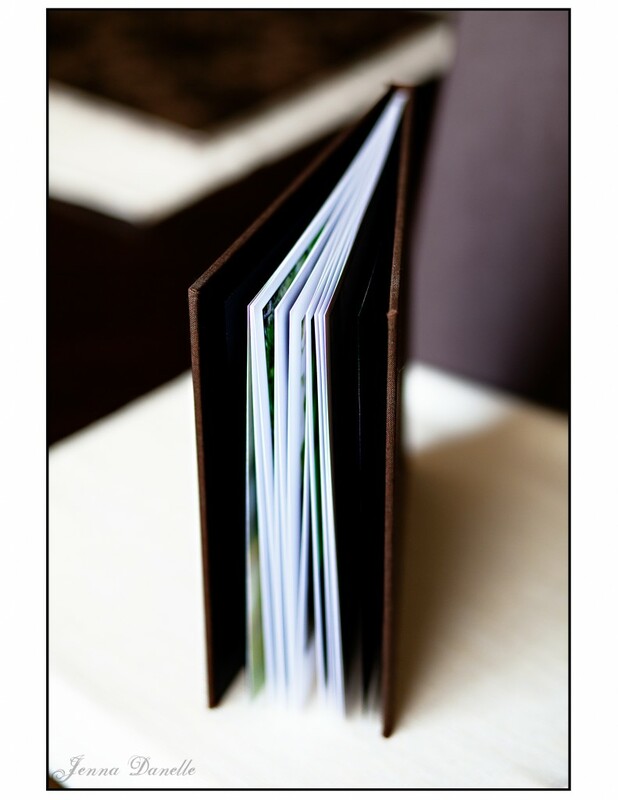 If you have a large wedding you can always add more pages to your book! 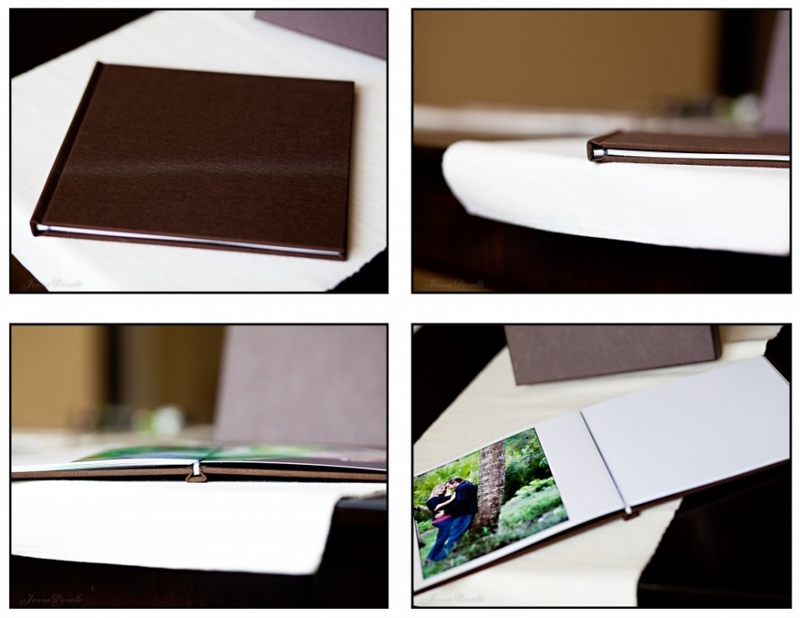 These books also make for great keepsakes for your engagement photos – so if you are planning on something different than a guest book, you can get one created with an album style layout of your engagement photos! For pricing and more information, please contact me anytime!